April 2, 2019, 6-7pm at the Boston Public Library. Panel talk in conjunction with the exhibition. 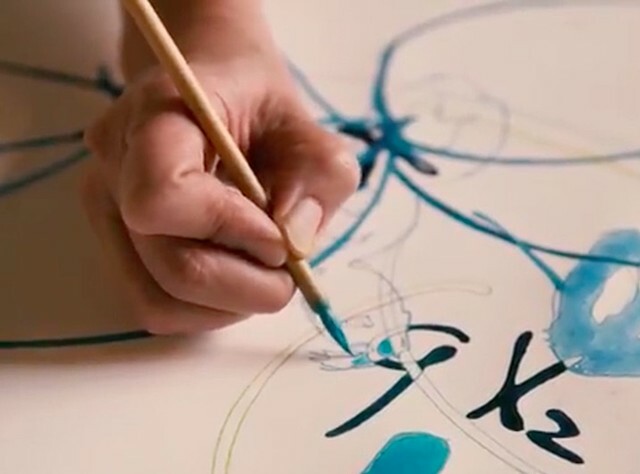 Naoe Suzuki: Artist in Residence, Broad Institute on YouTube. Research Residency at Tokyo Wonder Site Residency, Japan. January, 2017. Artist in Residence at Broad Institute of MIT and Harvard. 2016. Collaborating at the Intersection of Art and Science on YouTube. Sign up to receive news on upcoming exhibits and updates. At the BPL, the art of getting from here to there on Boston Globe. Written by Mark Feeney. October 18, 2018. Artists probe the state, and fate, of water on Queens Chronicle. Written by Victoria Zunitch. May 17, 2018. Interview by Jacob Boucher in The Connector, UMass Lowell Student Newspaper, Nov. 3, 2015. The Justice Newspaper. January 16, 2012. Art Hound. June 20, 2011. Take one look at the artwork of Naoe Suzuki (MCC Drawing Fellow ‘06) and you’ll see evidence of a person deeply committed to drawing. Her art brings to light the complex emotions humans have in relation to animals. Her latest series depicts the relationship between a woman and the tigers...Read more.